Sensible Recycling is proud to offer Jacksonville, St. Augustine, and the surrounding North Florida areas a computer and electronics recycling service at no charge. We are focused on providing you with excellent service tailored to your recycling needs. We will come to your location and pick up the material for you, or you can bring it to our location. 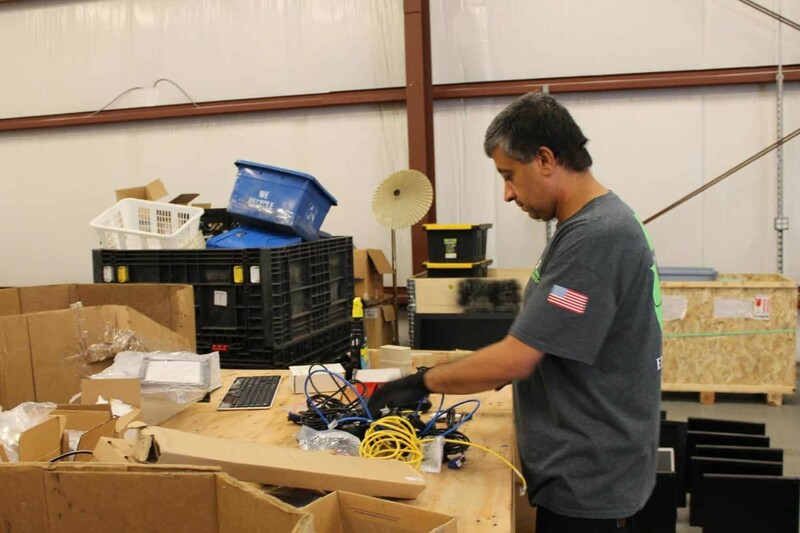 We strictly follow a no landfill policy and recycle all material in accordance with the Electronics Recycling Coordination Clearinghouse (ERCC) standards. It is our policy to shred all electronic data related material before it is recycled. For more information click here. Ask us about our box service for your larger jobs or company refreshes. 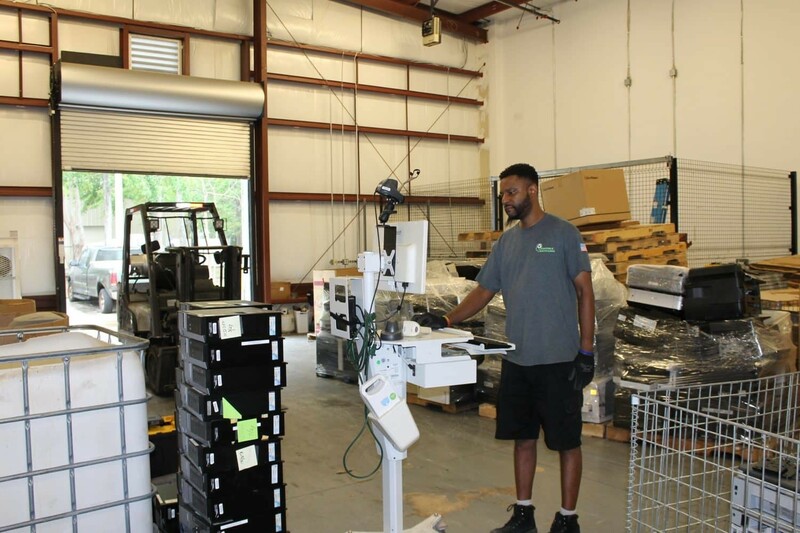 Sensible Recycling has the capability for on-site or secure in-house electronic data destruction services in compliance with all Federal, State, and Industry standards. We follow the standards set forth by the National Institute of Standards and Technology (NIST 800-88) and the National Association for Information Destruction (NAID). We always physically destroy all hard drives either by shredding in-house or on site. We are the only company in the area that does all of this at no charge and in a way that the destruction can be verified. We also maintain a HIPAA compliance officer on staff and can provide you with serialized certificates of destruction and a secure chain of custody. For more information click here. We do not require you to have the material palletized or boxed for us. We can handle that. We do ask that you let us know what you have and how much so we can plan accordingly for the pick up. Thank you. Sensible Recycling does not charge for our services. We are profitable through the dismantling and recycling of the electronics that are provided to us.